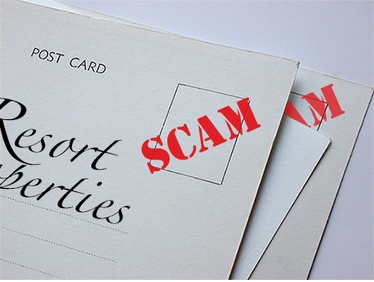 Have you received a letter in the mail from a notification services company claiming that they are authorized to cancel or “discharge” all of your timeshare maintenance fees? Is this company based out of Las Vegas Nevada? This is a company that is often referred to as “Interval Notification Services”. This business is known for their use of deceptive marketing tactics to disguise themselves as your timeshare developer. The letter that you have received was intentionally designed to appear as if it were from a legitimate company that is authorized to deal with your timeshare and was most likely structured like this. We are authorized to notify you that your owner standing now grants you the ability to achieve a full discharge of all future Resort Owner maintenance fees. Call Monday through Friday between 8am and 8pm PDT. If the letter you received appears similar to this one than you are indeed dealing with what is called a “postcard” or dummy “notification services”company. Upon closer inspection of the letter you can see that this company has purposely listed a contact date that is within a couple weeks of you receiving the letter. They chose that date to create a sense of urgency among timeshare owners so that they can receive more phone calls into their office from owners that are desperate to get out of their timeshare contracts. Also notice that they have included a “#TOC” within the letter. Chances are that, hundreds of other people with this letter have the same code number. Interval Notification Center requests owners to provide this code when they call in so that the owner feels as if they are receiving a personalized service. Nothing about their services is personalized or tailored for your timeshare.